Storage unit companies are in the business of providing homeowners with the space they need for their belongings. But what would a company be if it didn’t also give renters tips on how to maximize their own living space? Fortunately, a U.S.-based media source recently published some ways people can find more room to house their belongings in the bedroom. For instance, the Seattle Times recommends using the space that’s beneath the bed, as a standard king-size mattress takes up 42 square-feet of living space. Thin portable storage containers would fit nicely. 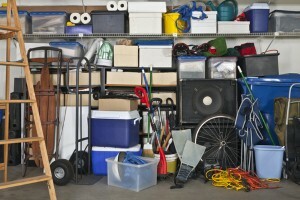 The paper says homeowners should also look to make the area that’s made for storage more efficient – namely, the closet. This can be accomplished by taking everything out and then rearranging the rods in a more space-efficient manner, according to what will be on shelves and what will hang from rods. Another way to save space, according to the paper, is to remove bedside tables and replace them by installing a headboard equipped with cabinets. If these space-saving steps don’t make enough of a difference, a storage unit is always available. These are some great suggestions for maximizing storage space! We are always sure to help our customers fit as much in their storage units as possible.